While Gamecock athletics have recently found success with nationally ranked football, baseball and women’s basketball programs, the law school has been busy producing its own outstanding talent. Here’s a highlight reel of alums who have combined their passion for sports with their law degrees to go pro in the fast-paced field of sports law. 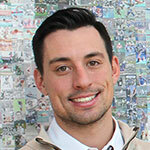 Bryan Blair, ’10, was named associate athletics director for compliance at Rice University in February. It’s his second stint at Rice, previously serving as a compliance coordinator. 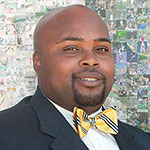 In between, he returned to USC, where he was the assistant director of compliance services for the Gamecocks. In addition to compliance operations, Blair oversees seven of Rice University’s 16 sports programs, including both Men and Women’s Track and Field (Indoor and Outdoor), Men and Women’s Cross Country, and Women’s Soccer. As the administrator of each sport, he works with coaches to help improve the team and advises the athletic director on each program’s budget, hiring decisions, and more. Blair has been awarded the 2014 Rising Star Award by the National Association for Athletics Compliance, which recognizes young compliance professionals who are considered to be emerging leaders. He was chosen for the NCAA Leadership Institute, which provides tailored programming conducted on NCAA member institution campuses to assist participants in strategically mapping and planning their careers, and was designated as the 2014 graduation speaker by his peers. 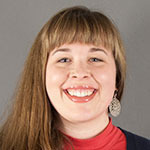 Beth Hopper, ’12, was named assistant director of compliance for Northern Arizona University’s (NAU) athletic department in February. It was a return of sorts for Hopper, who graduated with honors from NAU in 2006. While earning her bachelors in biology, she also played on the womens’ basketball team, helping her team win the school’s first and only bid to the NCAA Women’s Basketball Tournament. As a former student athlete, Beth is a self-professed huge sports fan, but she wasn’t necessarily thinking about a career in compliance until after she received her J.D. from USC. Matt Mikrut, ’13, was named assistant director for the Office of Committees on Infractions at the Indianapolis, Ind. offices of the NCAA in March. Before being promoted to this position, he worked as a postgraduate intern in the same office. While at USC School of Law, he was a compliance intern with the athletics department, and he helped to establish the USC School of Law/Office of Compliance Services Law Externship Program. Mikrut says that USC Law helped him to develop his analytical and communicative skills, both written and oral, which help him to effectively carry out his daily responsibilities, and the Sports Law course that he took gave him an understanding of the NCAA’s operations and rules. “I would not be in the role I’m in today without my background at USC Law,” he says. This entry was posted in One Minute Brief on 12 December 2014 by Rob Schaller.